Preheat oven to 375 degrees. Butter and flour 12 (3 inch) madeleine molds; set aside. Melt butter and let cool to room temperature. In a small mixing bowl, beat eggs, vanilla and salt at high speed until light. Beating constantly, gradually add sugar; and continue beating at high speed until mixture is thick and pale and ribbons form in bowl when beaters are lifted, 5 to 10 minutes. Sift flour into egg mixture 1/3 at a time, gently folding after each addition. Add lemon zest and pour melted butter around edge of batter. Quickly but gently fold butter into batter. Spoon batter into molds; it will mound slightly above tops. Bake 14 to 17 minutes, or until cakes are golden and the tops spring back when gently pressed with your fingertip. Use the tip of the knife to loosen madeleines from pan; invert onto rack. Immediately sprinkle warm cookies with granulated sugar. Madeleines are best eaten the day they're baked. Leftover madeleines are wonderful when dunked into coffee or tea. this is a typical recipe for MADELINE's and is not at all like what they serve at Starbucks. Starbucks Madeline's are quite a bit sweater and have a dense texture.... I happen to like them better then the classic recipe. Just so you know if you make this it will not at all taste like the ones at starbucks. Exact copy of AllRecipes.com Madeline recipe. Still have to tweak, but I got the sweet and crunchy crust! As they're cooling, brush them on both sides with your choice of a flavored simple syrup--I used vanilla bean-cinnamon. Do this maybe twice on either side, let them sit, and voila! Starbucks Madelaine's have tasted different lately. I feel like they changed the company or the company changed the recipe. Not light and fresh anymore. 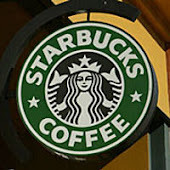 Do you happen to know how to make Starbucks Madeline’s? I can’t find a similar recipe anywhere! !